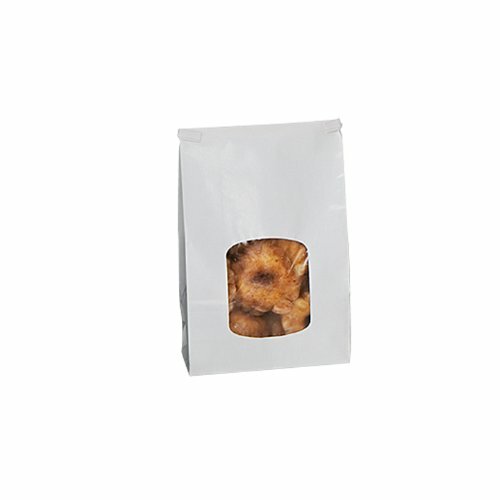 Bagcraft paper/poly stand up window bakery bag with tin ties closure system. Lock in freshness with our paper/poly duplex construction. Easy to seal and reseal with tin tie closure system. Heat sealable for shelf-life extension. Measures 9-1/2-inches length by 6-inches width by 2-3/4-inches height.